Message Technologies, Inc. (MTI) is an industry leader in providing Interactive Voice Response (IVR) and speech technologies. Our mission is to deliver innovative and affordable interactive voice solutions with maximum customer satisfaction. We offer a wide range of speech and IVR solutions to over 2000 customers in North America and around the world. These solutions provide effective ways of interacting with customers and employees over the phone, while minimizing the use of costly live agents. We’re experts in VoiceXML hosting and handle every part of the speech self-service infrastructure including trunk and platform provisioning, business continuation planning, monitoring, web access, physical and logical security and co-location. 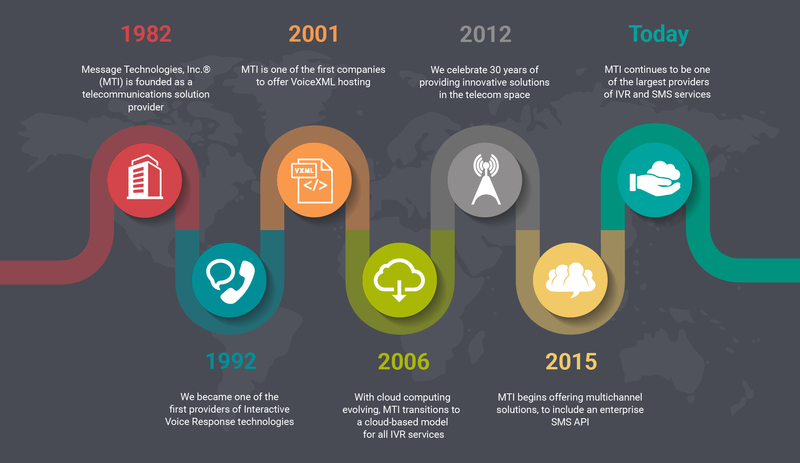 MTI also provides senior telephony and speech professional services for the design, development, deployment, and ongoing testing of IVR applications.